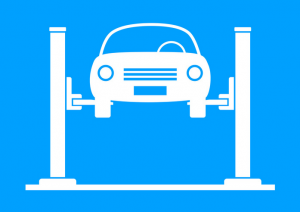 Our Secret to Providing Excellent Hydraulic Auto Lifts | Reliable Hydraulics Inc.
We’ve been ranked as one of the top 25 North American PMG Distributors and our customers will tell you that we provide excellent hydraulic auto lifts to meet their needs. You may be wondering what our secret is to providing excellent products. Since we first opened our doors in 1978, we’ve been an industry leader in providing great service and products to our customers. We have over 36 years of experience, so we know the tricks of the trade when it comes to installing, servicing, and repairing our auto lifts. Do you have questions about your lifts? Give us a call, and we can use our years of experience to address your concerns and get you the information that you need. We work to stock our inventory with a wide selection of lifts and other equipment that you may need for the job, such as air compressors, lubrication equipment, exhaust systems, jacks, and wheel balancers. Let us know what you’re looking for and what you need to equip your garage. We can advise you about the equipment that you should purchase and recommend the best options for the job. We pride ourselves on our top-quality service. We offer installation and maintenance on all of our lifts, so you can keep your equipment operating properly. We can also service your equipment on a regular basis, reducing the amount of downtime that your company will need to take to repair any issues with the lifts. We have skilled technicians ready to help you with all of your lift needs. Purchasing a hydraulic auto lift for your business is a big investment. You need reassurance that you’re getting top-of-the-line equipment with service that will leave you feeling satisfied and confident in the product. Our secret to providing excellent lifts lies in the hands of our experienced technicians, wide selection of inventory, and quality service. Contact Reliable Hydraulic Inc. to learn more about our quality products and service that we can provide to you. This entry was posted in Auto Lifts on April 22, 2015 .